With gene engineering, we are developing avirulent bacterial strains showing tumor targeting and anticancer activities. Our ultimate goal is engineering of oncolytic bacteria to improve treatment in cancer patients. Cancer theranostics, which combine both diagnostics and therapy in one step, is emerging technology for precision medicine. 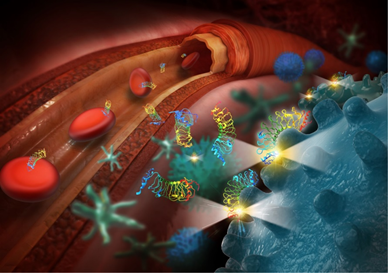 We are currently investigating specific cancer-targeting biomarkers using phage display technology and modular engineering technology developing repebody which is a non-antibody protein scaffold for tumor targeting. Diagnosis and therapeutic monitoring of infection using imaging technology is currently investigating in our lab. Infection imaging, especially bacteria-specific target imaging, offers advantages of early diagnosis with higher sensitivity and whole body evaluation of infected sites. We are developing the imaging probes targeting microorganism or their environment to visualize the infection. We are developing molecular imaging probes and photoacoustic imaging technology to visualize neuropathic pain pathway in central and peripheral nervous systems. Our goal is to localize pain, quantify the intensity of pain, and identify the mechanism of pain by novel imaging method. Strategies are being tested in small animal models. We are developing cardiovascular imaging tracers to assess myocardial blood flow, infarcted tissue, or vasculature. The single photon emission computed tomography (SPECT) and positron emission tomography (PET) tracers widely used to diagnose various cardiovascular disease including ischemic heart disease in clinics, but have several limitations such as short half-life and low image quality. Our aim is developing novel cardiovascular imaging tracers to overcome limitations of previous tracers and lead excellent image quality. J. H. Zheng, V. H. Nguyen, S. N. Jiang, S. H. Park, W. Tan, S. H. Hong, M. G. Shin, I. J. Chung, Y. Hong, H. S. Bom, H. E. Choy, S. E. Lee, J. H. Rhee, J. J. Min, Two-step enhanced cancer immunotherapy with engineered Salmonella typhimurium secreting heterologous flagellin. Sci Transl Med 9, (2017). S. H. Park, J. H. Zheng, V. H. Nguyen, S. N. Jiang, D. Y. Kim, M. Szardenings, J. H. Min, Y. Hong, H. E. Choy, J. J. Min, RGD Peptide Cell-Surface Display Enhances the Targeting and Therapeutic Efficacy of Attenuated Salmonella-mediated Cancer Therapy. Theranostics 6, 1672-1682 (2016). J. E. Kim, T. X. Phan, V. H. Nguyen, H. V. Dinh-Vu, J. H. Zheng, M. Yun, S. G. Park, Y. Hong, H. E. Choy, M. Szardenings, W. Hwang, J. A. Park, S. Park, S. H. Im, J. J. Min, Salmonella typhimurium Suppresses Tumor Growth via the Pro-Inflammatory Cytokine Interleukin-1beta. Theranostics 5, 1328-1342 (2015). D. K. Kim, J. H. Jeong, J. M. Lee, K. S. Kim, S. H. Park, Y. D. Kim, M. Koh, M. Shin, Y. S. Jung, H. S. Kim, T. H. Lee, B. C. Oh, J. I. Kim, H. T. Park, W. I. Jeong, C. H. Lee, S. B. Park, J. J. Min, S. I. Jung, S. Y. Choi, H. E. Choy, H. S. Choi, Inverse agonist of estrogen-related receptor gamma controls Salmonella typhimurium infection by modulating host iron homeostasis. Nat Med 20, 419-424 (2014). V. H. Nguyen, H. S. Kim, J. M. Ha, Y. Hong, H. E. Choy, J. J. Min, Genetically engineered Salmonella typhimurium as an imageable therapeutic probe for cancer. Cancer Res 70, 18-23 (2010). J. J. Min, V. H. Nguyen, H. J. Kim, Y. Hong, H. E. Choy, Quantitative bioluminescence imaging of tumor-targeting bacteria in living animals. Nat Protoc 3, 629-636 (2008). M. Yun, D. Y. Kim, J. J. Lee, H. S. Kim, H. S. Kim, A. Pyo, Y. Ryu, T. Y. Kim, J. H. Zheng, S. W. Yoo, H. Hyun, G. Oh, J. Jeong, M. Moon, J. H. Min, S. Y. Kwon, J. Y. Kim, E. Chung, Y. Hong, W. Lee, H. S. Kim, J. J. Min, A High-Affinity Repebody for Molecular Imaging of EGFR-Expressing Malignant Tumors. Theranostics 7, 2620-2633 (2017). Kim DY, Kim HS, Reder S, Zheng JH, Herz M, Higuchi T, Pyo A, Bom HS, Schwaiger M, Min JJ. Comparison of 18F-labeled fluoroalkylphosphonium cations with 13N-NH3 for PET myocardial oerfusion imaging. J Nucl Med. 2015 Oct;56(10):1581-1586. Kim DY, Kim HS, Le UN, Jiang SN, Kim HJ, Lee KC, Woo SK, Chung J, Kim HS, Bom HS, Yu KH, Min JJ. 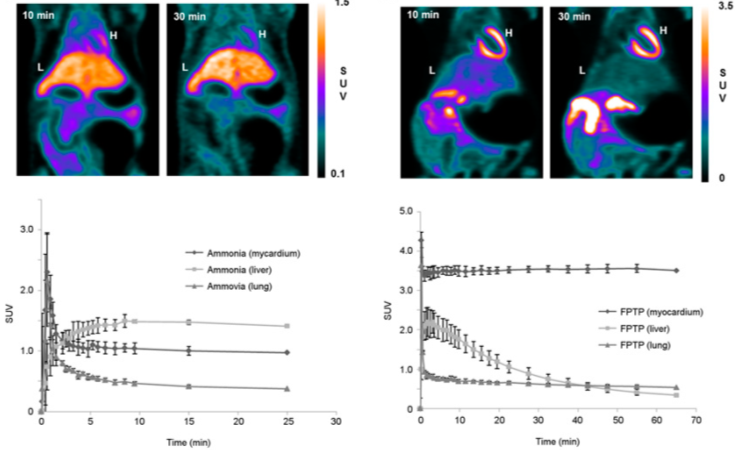 Evaluation of a mitochondrial voltage sensor, (18F-fluoropentyl)triphenylphosphonium cation, in a rat myocardial infarction model. J Nucl Med 2012 Nov;53(11):1779-85.